Matthew J. Rapa, Esquire is an attorney licensed to practice in the State of Pennsylvania, as well as in Federal Court for the Eastern and Middle Districts of Pennsylvania. 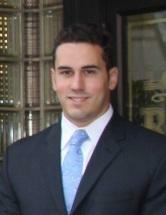 Matthew is a native of the Lehigh Valley and is a founding partner of Rapa Law Office, P.C. Matthew's primary area of practice is criminal and DUI defense. Matthew has represented individuals from minor traffic offenses to attempted homicide charges. Matthew also has significant trial experience having earned acquittals for his clients in a number of cases ranging from felony drug delivery charges to felony assault charges. In 2013, Matthew was named a "Rising Star" by Super Lawyers Magazine. Only 2.5% of the attorneys in Pennsylvania are selected to Rising Stars. In 2014, The American Society for Legal Advocates named Attorney Rapa one of the Top 40 Under 40 Criminal Lawyers in Pennsylvania. In 2014, Matthew was again named a "Rising Star" and was also named to The National Trial Lawyers' "Top 40 Under 40" list.